HOMER GLEN, Ill. (WLS) -- The Will County Sheriff's Office is looking for two robbers who struck a Homer Glen gas station in mid-July. According to police, an attendant at the Shell station near 159th Street and South Bell Road exited the bathroom to find two male robbers in the store, one of whom was armed with a handgun. The clerk said the robbers forced her behind the counter and demanded that she hand over money from the cash register. Two armed robbers struck at a Homer Glen Shell station July 19. 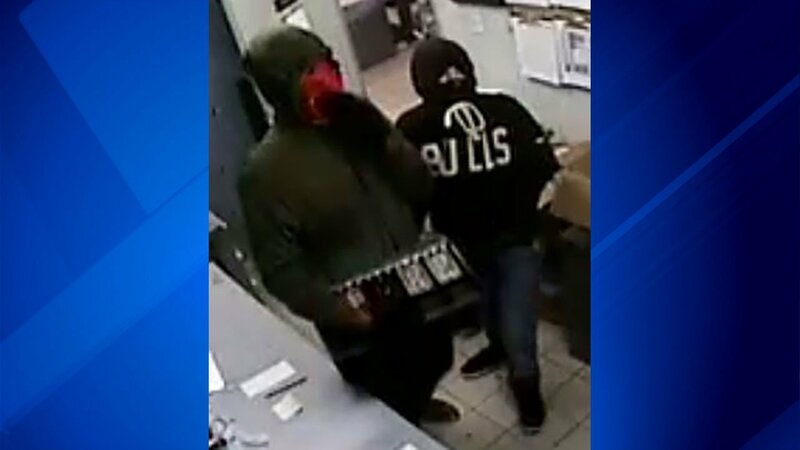 The suspects are described as a white man wearing a Chicago Bulls hoodie and a black mask and a black man wearing a green hoodie and gloves and covering his face with a red bandana, officials said. Officials asked that anyone with information contact the Sheriff's Investigation Division at 815-727-8574.